Microsoft has announced a large number of associates that will take part in building up the new Windows Mobile 6.5 experience. To start with, there is a large number of companies that will contribute to the variety of applications that would be available to us through Windows Marketplace for Mobile. Among these developers are EA Mobile, Gameloft, Glu Mobile, Facebook, AccuWeather.com, MySpace and many others. We have to admit that Microsoft has done a good job here by signing with some of the big names in the industry. In addition, it seems that user-friendliness will be an inseparable part of Windows Marketplace for Mobile, as customers will be able to “return” an application within 24 hours for a full refund. Aside from Marketplace, Windows Mobile users will get a variety of “designer themes” so that they can customize their phones with a look satisfying their personal tastes. Design Museum London and Council of Fashion Designers of America will co-operate in order to deliver exclusive themes, including color palettes and wallpapers for Windows Mobile. The new online Theme Generator will basically allow you to choose an image from your PC that you wish to set as wallpaper on your phone, along with custom colors for the navigation bar, scroll bar and highlighted text. When you are finished with designing your ultimate theme, it will be sent to your phone. 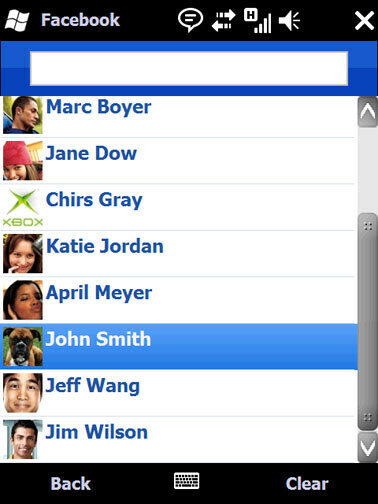 Social Networking will also be a part of the Windows Mobile experience. Microsoft will deliver a new Facebook application which will be available in April and a new MySpace app that will allow for a real-time access to the popular online community. 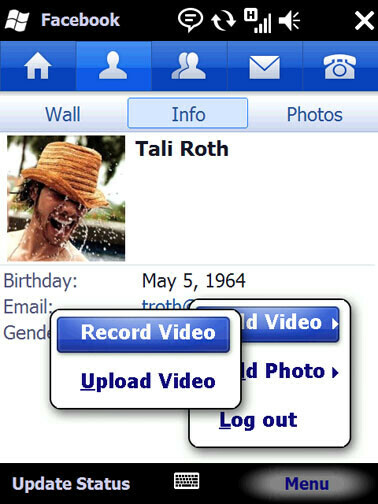 As the company informs, the new MySpace application will come preloaded on LG’s Windows Mobile phones. I LOVE WINDOWS SO MUCH. IT IS TOTALLY THE LEADER IN THE COMPUTER WORLD, AND ALSO THE MOST INNOVATIVE. I have to say that I am a huge fan of microsoft products, but i think you are waaaaaay too entusiastic. Windows mobile is lagging way behind in the innovation department for smartphones. It wasn't until the iPhone launch and the ever growing popularity of RIM that microsoft started to step up their game. I think they are doing a great job by releasing WM 6.5 instead of waiting for 7, as this will be a teaser of what 7 will be and still keep some of their marketshare. I hope they try to be the market leader again, instead of the market follower as it took companies like HTC, Sony, and Samsung to design better today plugins to make the device more appealing to wider audiences.